Yes you can! 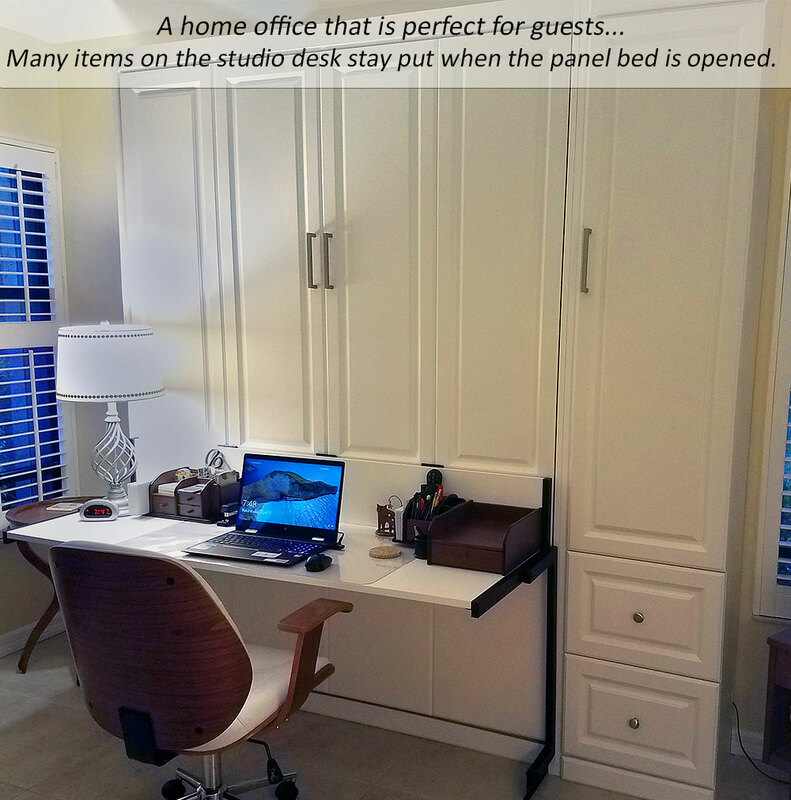 …have your home office and guest room. “It is exactly what I hoped for.” says Laurie, the proud owner of this desk and bed combo. This Daytona Style Panel Bed has a Studio Desk attached and side storage for guests. The Studio Desk stays upright when pulling the bed down allowing many items to stay in place. There is no need to completely clear the desk! And when your guests return home, and the bed is put away, the desk returns to it’s upright position with your items in place. It’s a great way to have your office space and guest room! “Thank you for working diligently to make the desk/bed combo. I think you will agree it is awesome . It is exactly what I hoped for. P.S. Your installers are great and a pleasure to be around. 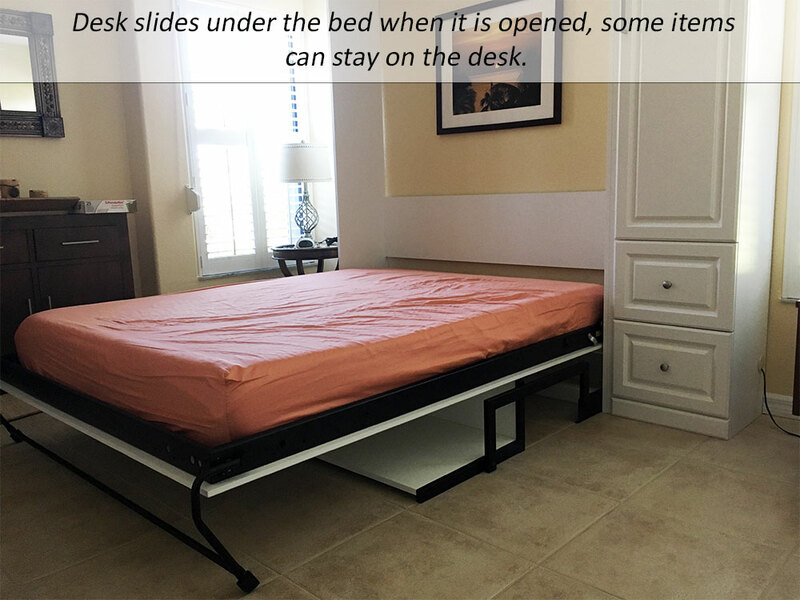 Note: to prevent damage, we suggest you remove any fragile or delicate items from the desk prior to opening the bed. Large items, such as lamps, will need to be removed and all chords and cables will need to be disconnected. If children will be present, we recommend clearing the desk and putting all items out of reach of children. Why Buy a Murphy Bed? Do you have a cluttered room? Would you like to offer your guests a poolside room?